Clean water is critical to survival. According to the World Health Organization and UNICEF’s Joint Monitoring Program, a 2011 study showed that there are an estimated 768 million people using water that has been potentially contaminated. As a result, millions of people die each year from a water related disease. In Africa—mostly sub-Saharan Africa—there are approximately 345 million without access to safe drinking water. 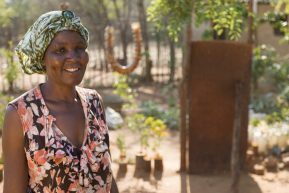 Although Maranatha is not a water organization, while building churches in Mozambique (starting in 2007), Maranatha learned of the extreme water shortage in the country. 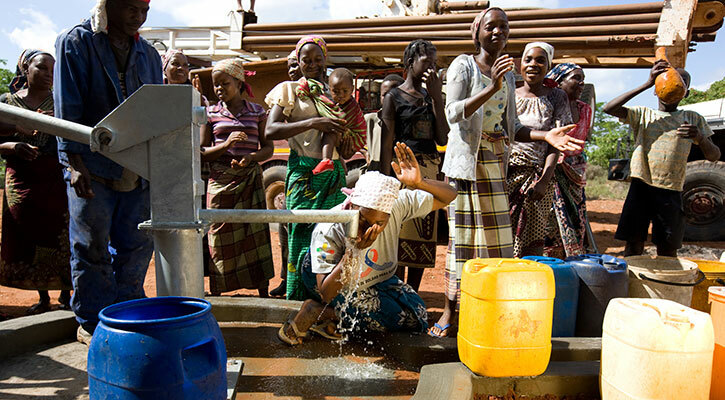 More than half of Mozambique’s population lacks access to safe water. In rural areas, people have to walk several miles to get water, but the water gathered can be contaminated. In response to the crisis, Maranatha collaborated with Adventist Development and Relief Agency (ADRA), to fund and drill more than 700 wells in Mozambique over a period of three years. In 2017, a generous donor sponsored a well rig for Maranatha to use in Africa. Now, instead of working with contractors, Maranatha has a dedicated team going from village to village to drill. After completing a water well effort in Zimbabwe, Maranatha’s rig is in Kenya to launch a water program in some of the country’s most remote villages. 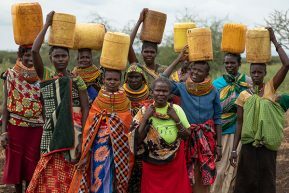 Finding water in these areas will be a challenge–and costly, but the need is critical, and Maranatha is committed to drilling as many wells as possible for the people of Kenya. These projects need your support and funding. Please help Maranatha bring water to communities in crisis by making a donation.